Your home’s outdoor space is much more than an area of transition between the exterior and the interior of your home. The outdoor space is a major part of your home and it’s one of the first areas that guests see when visiting. Arte Verde will create a stunning residential landscape design that will make your outside living area a highlight of your home with a landscape that extends your beautiful living spaces into the outdoors. Your quality-designed residential landscape will improve the curb appeal of your home as well as raise your property’s value. These are only a couple of the many benefits a well-manicured property will provide and Arte Verde will custom-create the perfect outdoor living space for you that can maximize all possible benefits! From the careful selection of plants and trees, to ground cover and structures, Arte Verde has everything you need to make your property more appealing to your unique sense of style and living. Maximize your enjoyment of your home and property with outdoor settings you love. If you are currently unable to enjoy the property outside of your home, you’re missing out. Arizona is a naturally beautiful place with a climate that makes it possible to enjoy the outdoors year round. Your property can provide double the enjoyment of your natural surroundings with an outside living space that is pleasant as well as functional. With the perfect residential landscape design and maintenance package from Arte Verde, your property’s exterior living space can be fully transformed into the space you’ve always dreamed about. 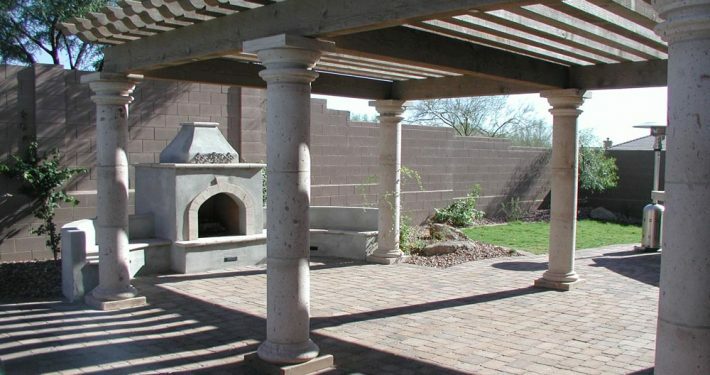 Arte Verde will works directly with you on the design process to ensure that your outdoor living space is unique to your own personal vision and taste. Have you ever imagined practicing your golf game with your own personal, plush artificial putting green? Maybe you’re the neighborhood BBQ King and would like a full outdoor kitchen at your disposal where you can prepare meals and entertain your guests. Whatever you have in mind, the design, landscaping, and gardening experts of Arte Verde can and will make your dreams a reality. Residential Landscaping adds a unique character, style, and increased value to your home. Contact us today to learn more! 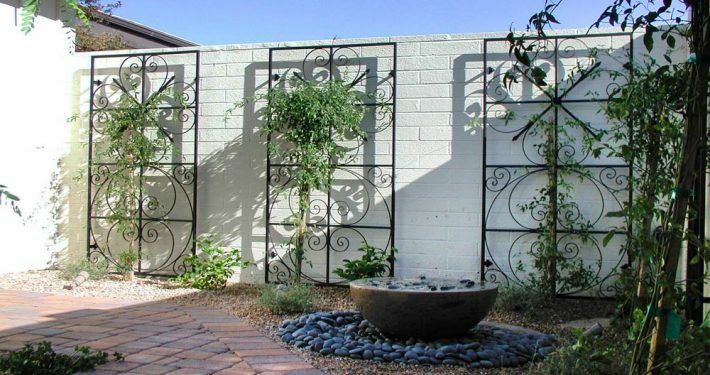 Water, Concrete, and wrought iron work adds exclusive dimensions to your home landscape. Contact us today to learn more or request a quote! With Residential landscapes, we incorporate all the features of your backyard environments. Contact us today to learn more! Expand your outdoor living environments with our custom residential landscaping experts. Contact us today to learn more or request a quote! Arte Verde creates stunning residential landscaping designs and elements that is interactive and inviting. Contact us today to learn more! 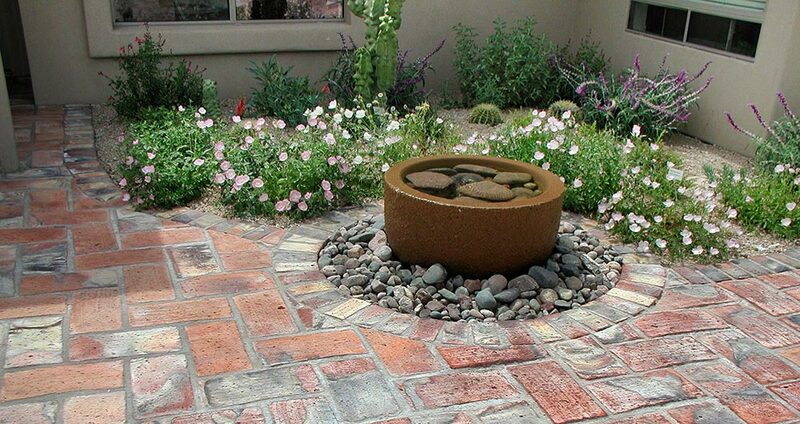 Are you aware of the potential rebates you may receive for converting your existing landscape to a residential landscape design that meets your city’s water conservation requirements? Let Arte Verde show you how you can receive money back from your city for considering the needs of our environment in your landscape design. Rebate incentives vary by city and not all cities are participants. Contact Arte Verde for more information. 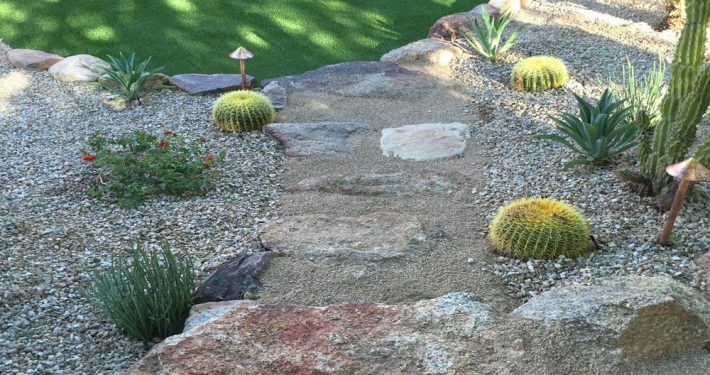 Your Phoenix residential landscape will be a true work of art with the professional landscape designing talents of Arte Verde. Although we will do most of the initial work, your residential landscape is a living environment that requires regular care in order to sustain its appeal. We consider your landscape a living canvas and, like any artist, we desire to see the beauty of our work provide years of enjoyment and inspiration. Like a lot of fine art, we know you’ll appreciate your landscape as it matures because we design landscapes to look amazing from their inception through maturity. Once we install your custom residential landscape, it’s wise to leave its care to the pros – the contractors who installed it. Arte Verde will maintain your residential landscape ensuring it will stay looking amazing for now and the future. When you’re ready for a new look, Arte Verde will be there with a new design plan to attain the new look and feel you desire. 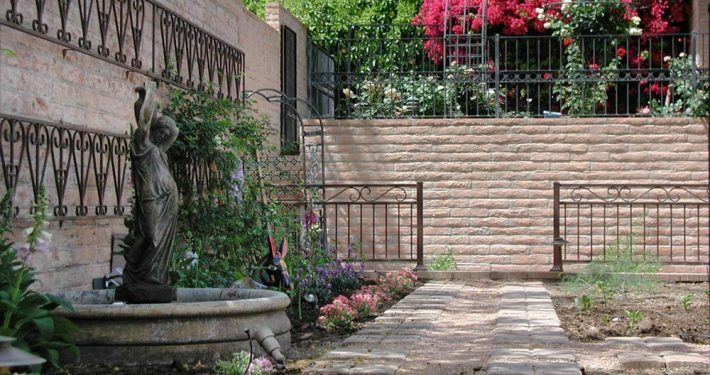 A well-manicured Phoenix residential landscape can only improve the function and comfort of your property.